"The ladies love a surfer dude." Look at the savings in Bentley's Bargains this week! We are joining our friends at BlogPaws for their Wordless Wednesday Blog Hop. You can visit more fun blogs by clicking the icons below. Also congrats to the winner! Thanks for this handy tip, Bentley; we're holidaying to Devon this week, and we'll be visiting plenty of beaches there during our long stay, so Earl can put this into some good practice! They do indeed!! Be careful of the SHARKS though!! You are looking good, Bentley. Better take your hat off before you hang 10, so it doesn't create any drag! Congrats to the winner woohoo! is it pawsible to be a surfer guy without that water-thingy too? LOL Love it! Bentley is definitely my kind of surfer dude. Oh Bentley, you are just too cool! The ladies are going to swoon. They also love a surfer dog! We have never been to a beach! Bentley - you are one cool dude. Love your hat, but please be careful out in that ocean water - JAWS!!!! Watch out for sharks, they've been bad lately! Oh heck yea Bentley! Work it out pal! That is a great image, Bentley! You will definitely make all of the ladies swoon. 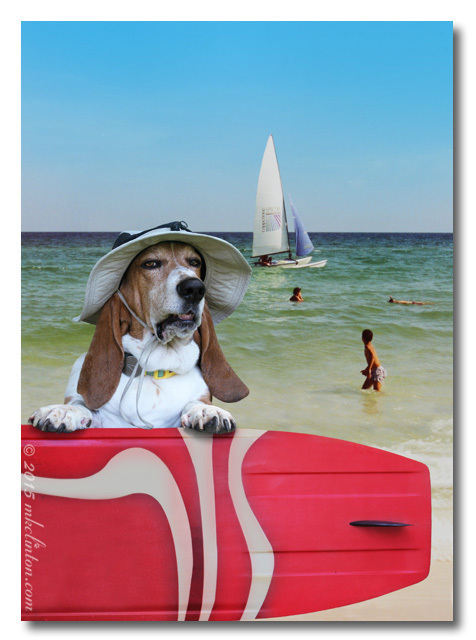 :) I hope you catch some pawsome waves! You got that right, Bentley! Woof woof! So true, Bentley, so true!! You are right Bentley. Ladies do love a surfer dude and you look perfect. Oh, Bentley, I'm sure the beach babes will be all over a good looking surfer dude like you! Watch out for sharks!